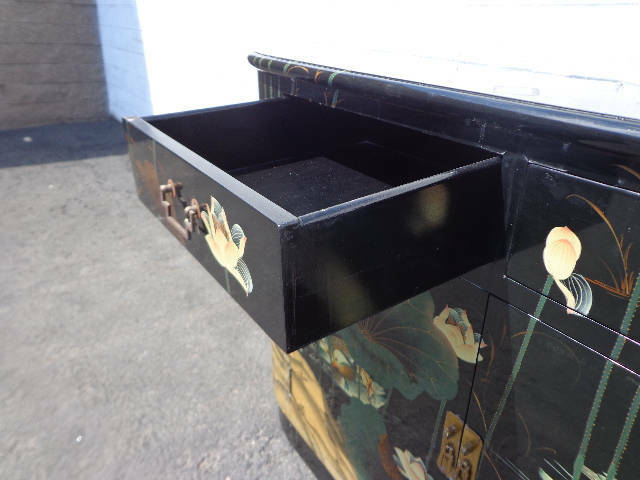 Absolutely fabulous one of kind dry bar / cabinet chest console / buffet sideboard. 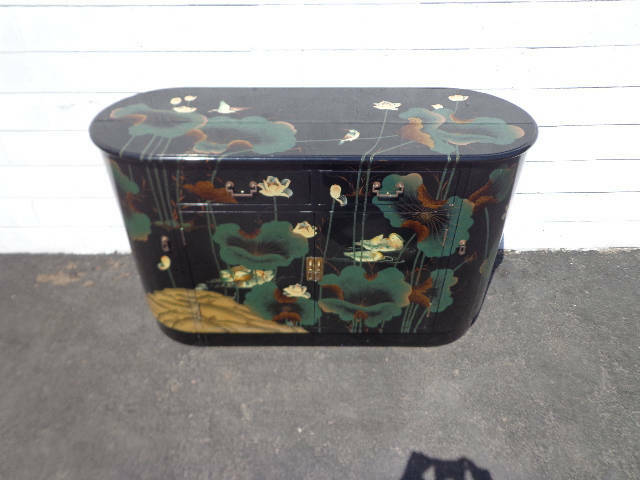 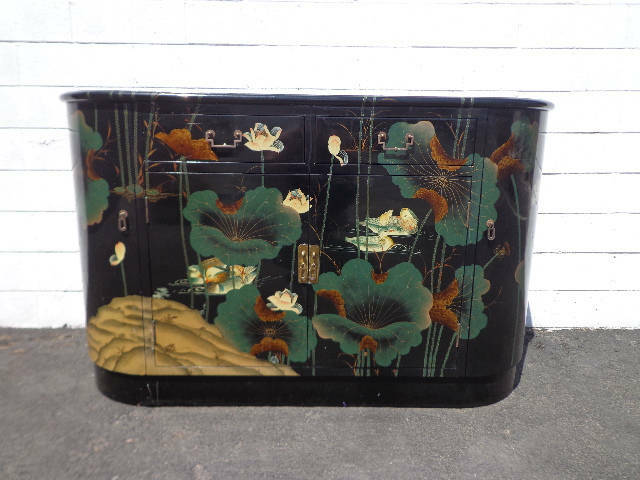 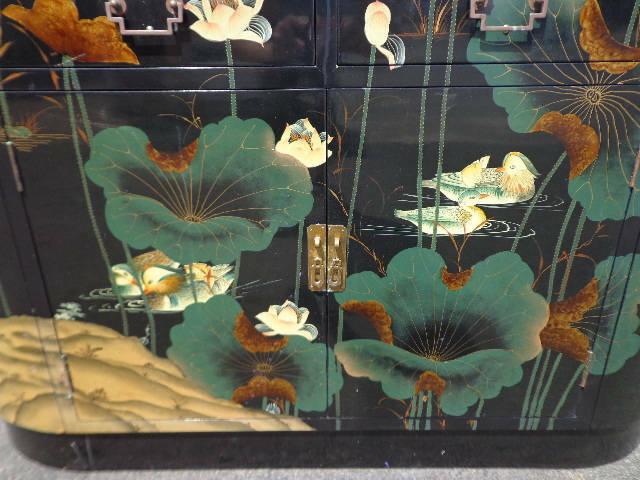 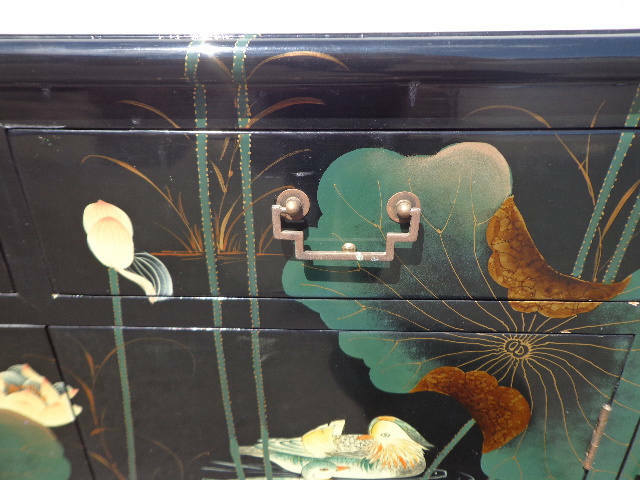 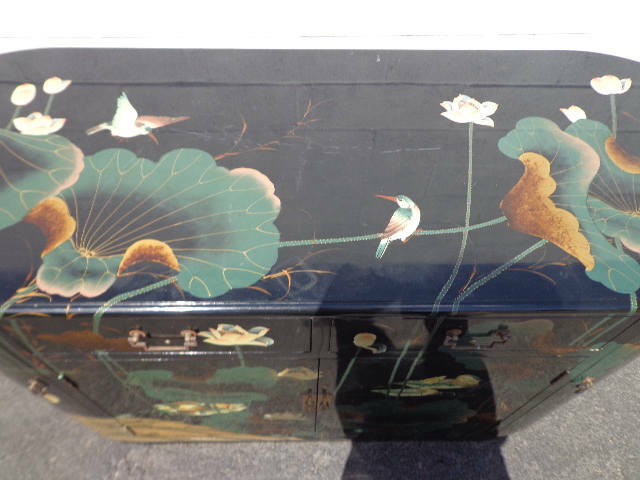 This fabulous piece features a black lacquer finish with a colorful, hand painted design. 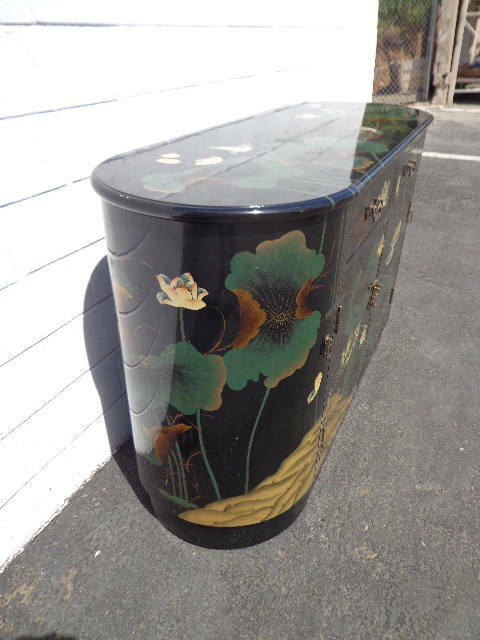 This piece is not only a focal design piece, it offers good storage and ample cabinet storage. 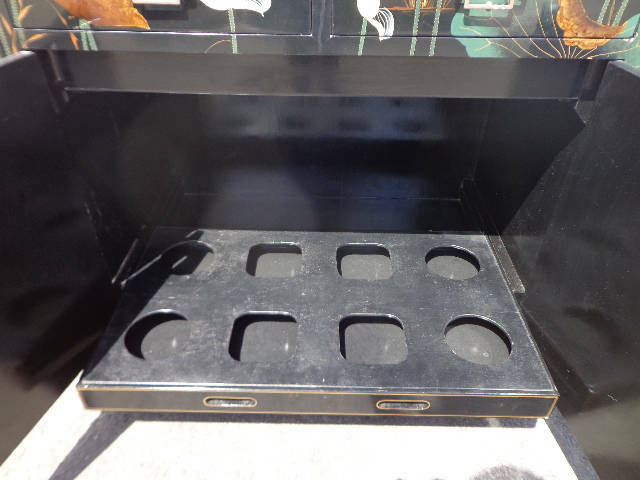 Has built-ins for bar storage and is finished on all sides. 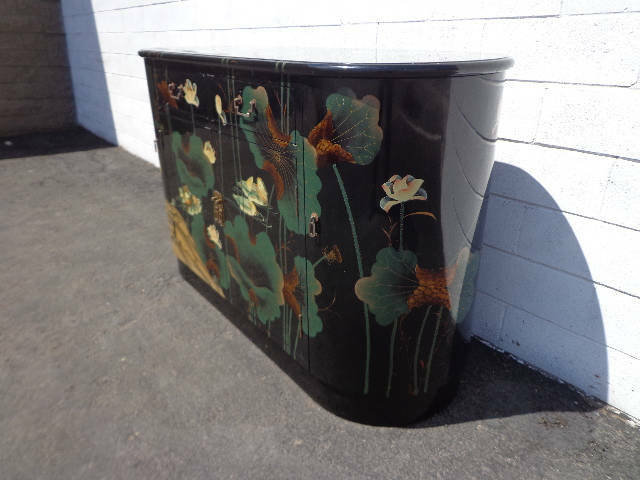 This could be used in any room and will enhance any space. 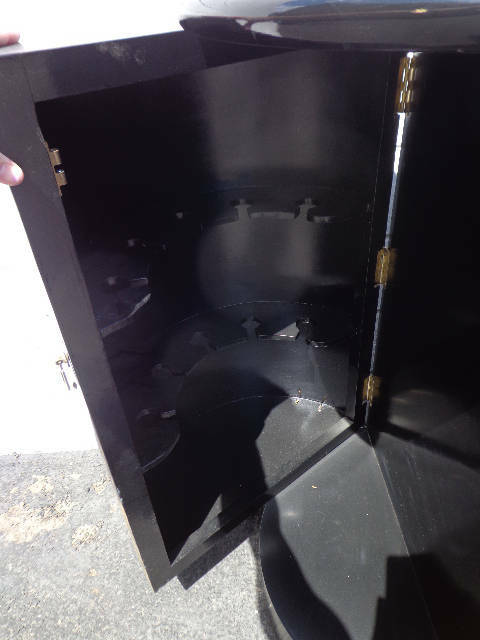 Dimensions: 53 1/2" x 20" x 33"